I can’t stop thinking about “Three Identical Strangers,” the jaw-dropping documentary about the boy triplets who were separated at birth in 1962, in theaters now. It tells the true story of the joyful reunion after the boys found each other during their college years, and the ugly discovery that followed. Don’t watch the trailer. Don’t read the fabulous reviews on Rotten Tomatoes. The less you know about it, the greater the impact when you see it. If you want a fun, uplifting flick, look elsewhere. This is real life at its darkest and stranger than fiction. I receive more than a dozen calls and emails a year from authors who want to know how to get their books made into movies. The hard way: Write a best-seller. The slightly easier way: Write and submit what’s known as a treatment. A treatment is a short story pitch intended for production as a movie or TV program. It features the story’s overall structure and primary characters. Written in three clear acts, it focuses on action and events and shows how the characters change. Story editors must be able to relate to your characters. Your story must have a strong protagonist who readers and movie watchers will want to root for. It must have an interesting twist. You must write it so that the story editor can see three well-defined acts. Lead the treatment with a one-sentence punchy summary that entices the story. 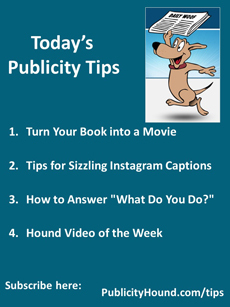 Ken Atchity, who provided the above tips, will explain how to turn your book into a movie when he speaks to the Book Publicists of Southern California at 7 p.m. on Wednesday, Aug. 15, at the Sportsman’s Lodge in Studio City, Calif. He will share tips and strategies from his new book, “Sell Your Story to Hollywood.” He will be joined by two more speakers who will discuss how books find their way onto the silver screen. To do: Learn how to register for the “Books Into Film” event. 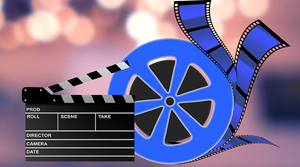 If you can’t make it, you can read Ken’s article “Turn your book into a movie: 16 treatment tips” at Sandra Beckwith’s blog. –Consider length. People scroll through their feeds quickly. When in doubt, keep the caption short. –Don’t be afraid to use an emoji to add personality to your caption. –Place the most important words at the beginning of your caption. Put any @mentions or hashtags at the end. –Ask a question. 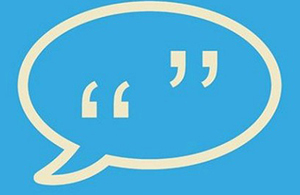 It’s an easy way to generate more comments. It could be a yes or no question, a skill-testing question or an open-ended question. You have no idea if that person is a journalist, potential client or employer, influencer or someone who is of no value to you whatsoever. Blogger Olivia Donaldson suggests that you create several elevator pitches of various lengths to prepare for moments like this one. –Then turn that into a 10-second pitch. –Turn the 10-sconed pitch into a five-minute version that you can use if someone is actually interested in knowing more about you and has the time to listen. You want two different version of your elevator pitches: one for a professional environment and one for a personal environment. How do you know which to use? Ask the other person questions designed to help you determine quickly if this is a business or personal contact. 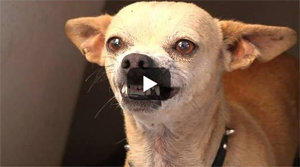 This one is called “My roommate’s chihuahua wants to kill me.” The little guy’s teeth remind me of Dracula.